Seat Heating is an especially comfortable and pleasant option for your car. 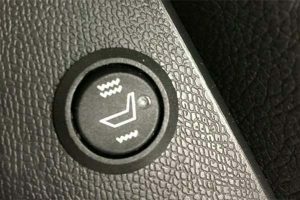 With heated seats, an electrically heatable mat is placed underneath the upholstery in the bottom and back rest of the seat. You can turn on the heat whenever you want, and our systems always have two settings so that you can select high or low heat. A mere push of a button makes your cold clothing turn nice and toasty in a matter of seconds. This way you can always create a comfortable interior together with your car’s heat. Heated seats are also nice for another reason: The feature offers relief if you have back problems or when your back feels tired during long drives. Seat Heating offers comfort and enjoyment. 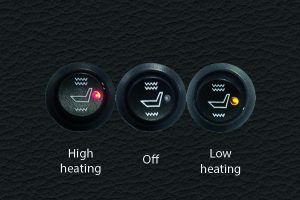 Alba Automotive specialises in the provision and installation of Seat Heating. You can order Seat Heating in combination with a leather car interior but you can also order our system separately and have it installed underneath the upholstery of your existing interior. We install our Seat Heating so that it is invisible: Your seats will retain their appearance and there will be absolutely no damage to your interior. The Seat Heating is easy to operate using a large, round, illuminated switch. The standard is to install the switch into the car seat cap, but it can also be mounted on the dashboard or on the middle console – depending on the layout of the car’s interior. We offer you the best possible service. Naturally, you can come to us for all of your car interior needs, but we can also come to you. Do you want your seat Heating installed on site? That’s no problem for us. We will provide on-site installation of your Seat Heating in consultation with you. This is a part of the excellent service for which we’ve been known for more than 30 years. 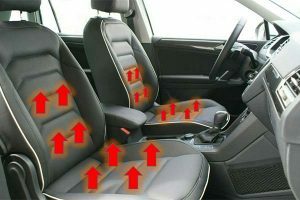 Do you have questions or would you like more information about Seat Heating in your car? Then contact us and we will be very glad to assist you.